No, I'm not crying.. you're crying.. The original Life is Strange is one of my favorite games of all time. It was an episodic game that I played non-stop and sat through both endings, one of which had me taking a 40-minute break from the game as I was beyond teary-eyed and wasn't in the headspace to press that button. Max and Chloe are two of my favorite fictional characters ever conceived and Deck Nine's bonus episode to this Life is Strange prequel, made me realize that all over again. Even though this bonus episode can be completed in under an hour, I found it remarkably moving and while the events of what occurred are already well known to the series faithful, it will still hit you like a ton of emotional bricks. I won't be talking too much about the content of this episode as it can ruin the experience knowing too much of what occurs here. Given the length of the experience, this review won't be really that long at all. Farewell is meant to be one last hurrah for both Max and Chloe. While the prequel squarely focused on the relationship between Chloe and Rachael, this series, at least for me, has always been about Max and Chloe. While I thought the prequel series was enjoyable and added a lot of depth to the Chloe character, it just didn't resonate as emotionally satisfying as the original Life is Strange. Sure, Before the Storm does have some extremely strong moments, but it lacked, at least to me, what made the original so powerful. 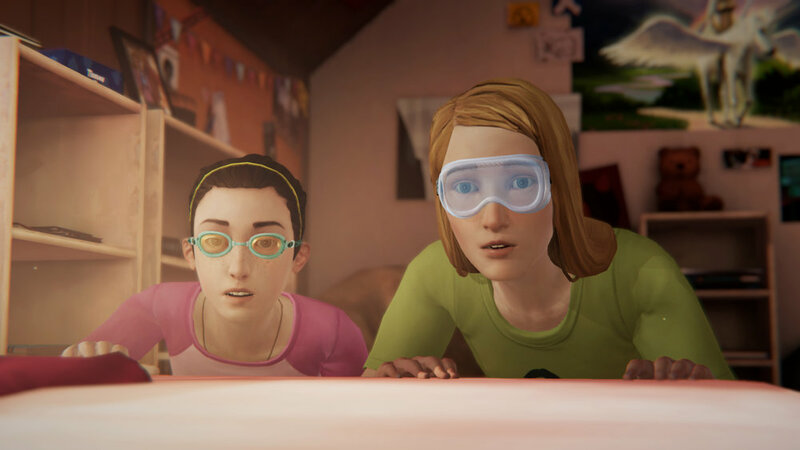 To end off the story of these two young women, the original actresses have returned with both Ashly Burch and Hannah Telle back as Chloe and Max, respectively. While it can be a little jarring to hear these grown-up sounding voices behind the 13-year-old versions of these characters, hearing them one last time really gives this episode its emotional weight. Much of this episode is based around the fact that Max is moving, so interacting with many of the objects in the Price household will be that of sentiment and the fear that Max will never see Chloe again. While we all know that she eventually moves back, the Max in this episode is uncertain of that eventual fact. If you skip through these interactions, then you can breeze through this content in under thirty minutes, but taking the time to look at everything is actually worth it, given the fact that this is the last time we will see Max and Chloe, as Dontnod has already stated that the next Life is Strange will feature a whole new cast. Farewell is a stunning experience, even if it is shorter than your typical movie, but still packs all the emotional feels of the original Life is Strange. There really isn't much here with regards to making any real choices or fancy gameplay mechanics, but rather an excuse just to spend some more time with these two incredible characters during such a hard time in both of their lives. If this is, in fact, the last time we see both Max and Chloe, well, that was one hell of an ending. LIFE IS STRANGE: BEFORE THE STORM WAS PURCHASED BY THE REVIEWER.